So this is lovely Room 27 after we decorated. Already, a strong rapport has been built within the group. 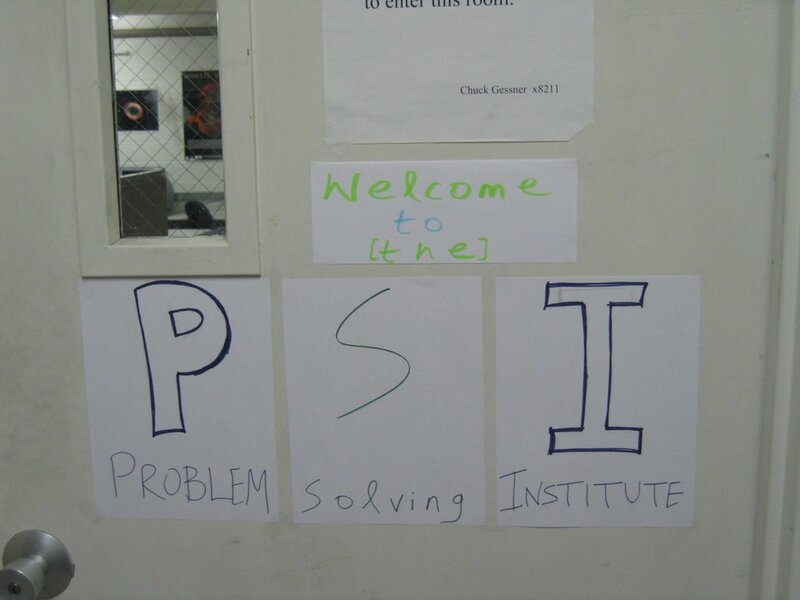 So much so that we've dubbed ourselves PSI (Problem Solving Institute). It's pretty heavy duty. 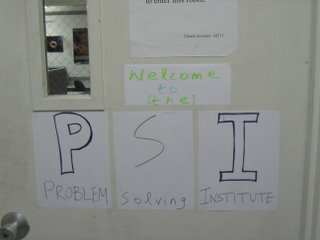 Our motto is "PSI: where any problem can be solved" haha! 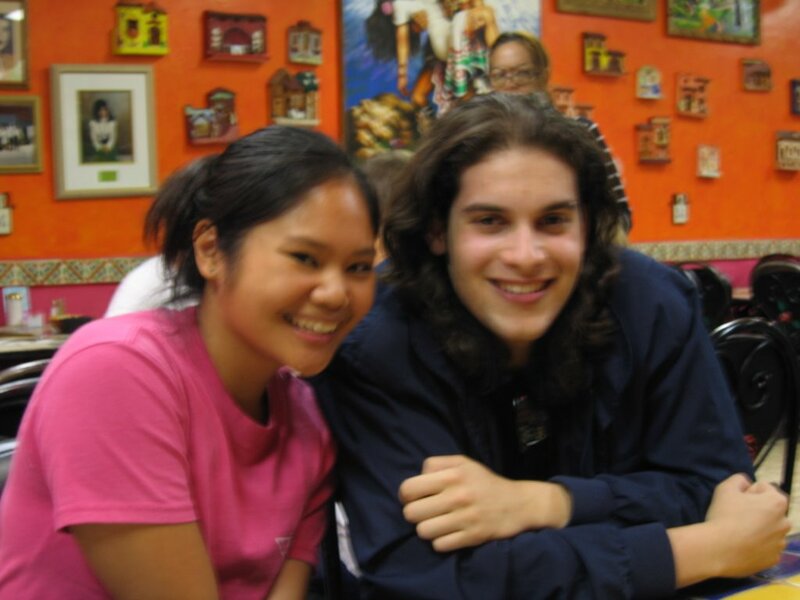 These are from a Mexican food restaurant that we went to one night. It was pretty good. I have yet to Mexican food as good as we have in Norman, but oh well. I'll live. 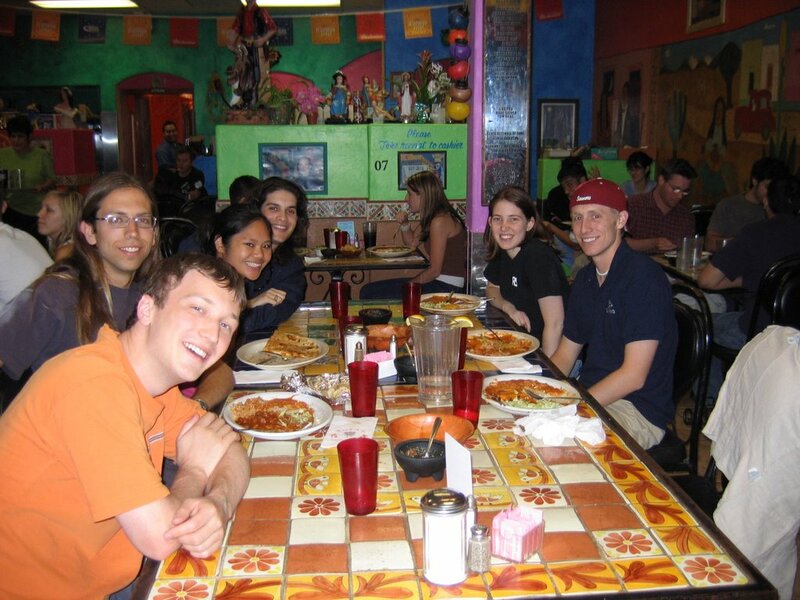 So in the first pic (of everyone) we have (L to R) Rob, Matt, Myra, Shaye, Stephanie, and Casey. Yes, that is a sooners hat that Casey is wearing. I was very excited to find out that he was a sooners fan. Much better than any of the alternatives. hehe...It makes this place feel a little more like home. :) To further instill the Oklahoma pride in room 27, we hung an Oklahoma flag. yay! It hangs right above Casey's and my computer. wahoo! The other picture is Myra and Shaye at the mexican restaurant. Well, so we're observing and I do have internet access. wahoo! so...what else has happened this week? I've been reducing spectra, which is tedious, but will yield good results, so it's worth it. The food here is not as bad as I thought it would be, but it's still bad. The observations have actually not been going so well. With a first go at the reductions, it's not really looking like we're going to get much. :( so sad. that's ok, though. I think this is good experience anyway. but...yeah...so Shaye and I decorated Room 27, so it's looking a little better. 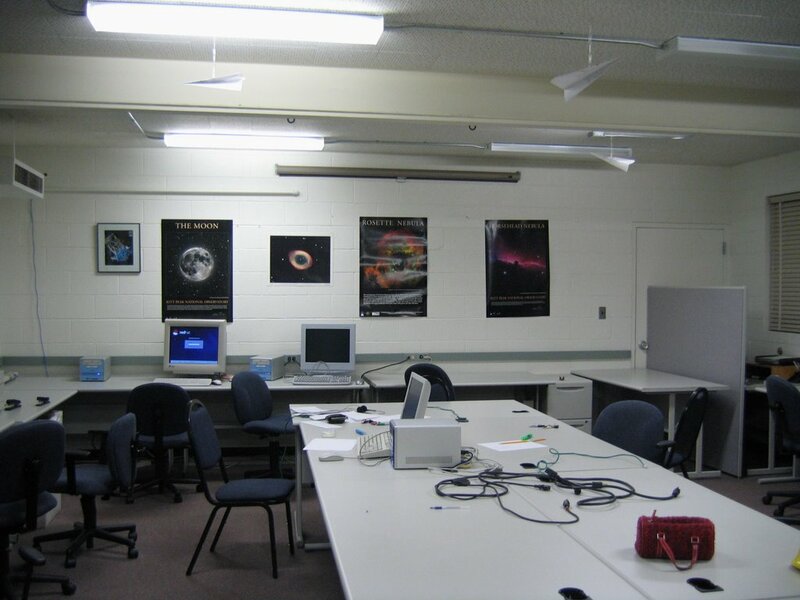 Everything is kinda falling down now, but we're going to rectify the situation soon. :) well, that's about it. 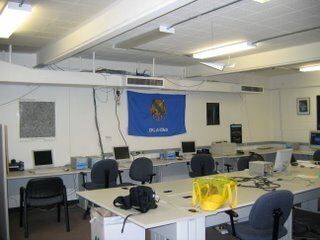 I'll post some pics of Kitt Peak as soon as I can. It will probably be tomorrow night or something. We still have two more hours of observing to do and I'm starting to get tired. no bueno! Just a hint; double-sided carpet tape will hold up nearly anything you want to hang on a vertical surface. I am sure you're sleeping right now like everyone else in my house (and it's 9:20). They have no excuse, there was no star gazing going on here last night. I spoke to your mom; she began to explain what you're doing this summer and then said, "Read her blog." :-D It's been a busy and strange week so this has been my first opportunity. I actually inspected a racehorse this week. Strange week.